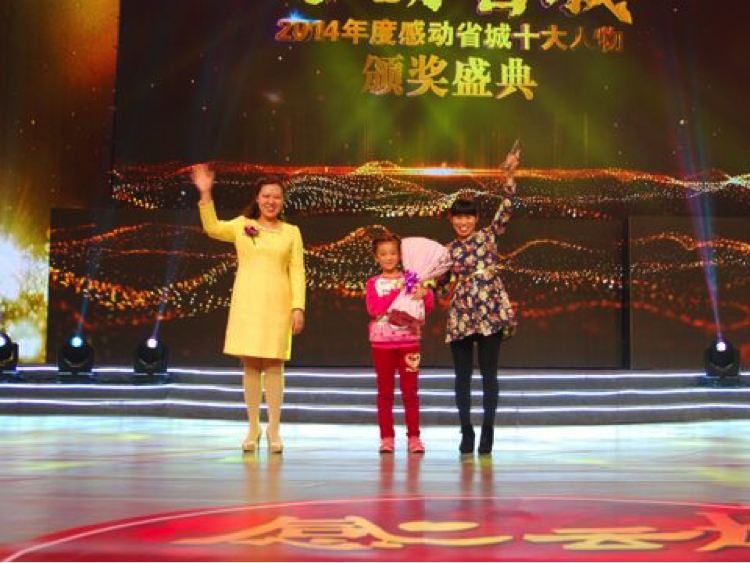 On February 6, 2015, the 2014 Top Ten Touching Character of Hebei Capital City Award Ceremony was held at the hall of Shijiazhuang City Broadcast Movie and Television Center (石家庄市广播电影电视中心). A graduate from the Economics and Management Department of China Hebei Normal University, Maggie Ma, has been selected as one of the top 10 touching characters for the city. After losing their parents, Maggie, together with her younger sister, were sent to the China orphanage when Maggie was 8 years old in 2001. Eight years later in 2009, Maggie entered the China Hebei Normal University – she was the first university student from the orphanage. Due to her diligence and distinguished performance during internship, she received a full time job offer from a Shanghai corporate but later decided not to accept the offer. Instead, she chose to return to the orphanage in order to help with nurturing the younger kids here. Her decision was bold, unselfish and well respected one. Maggie is a cheerful young lady with outstanding academic performance. She was granted with different scholarships and even awarded as the “Touching Character” by her department during college.